Well that’s all she wrote for now, my troops can be configured in various ways and because each individual and groups base is marked with an alpha-numeric code I can just swap in and out without getting in a muddle. I just dry wipe marker the sleeve the card is in for the game with the code! I’m very pleased with how these guys look. Not chaotic but clearly not a uniformed army either which was my plan. A couple of little pieces like stubble or a particularly aged face set off individuals and the Madder Red masks and weapons came up really well and tie it all together. I’m pretty sure I’m first to finish the 24 points (and I’ve done a couple of bonus dudes) but the others will soon catch up right? I hope you like them too! Well Mark has well and truly knocked it out of the ballpark again with his ToH force I had planned on getting a fair bit done this week but real life and missing paint brushes hindered my progress somewhat, however, I have started to get some paint down now, I think I am going to struggle to get the horses looking how I want but we will see after a few more bits have been painted how they look. 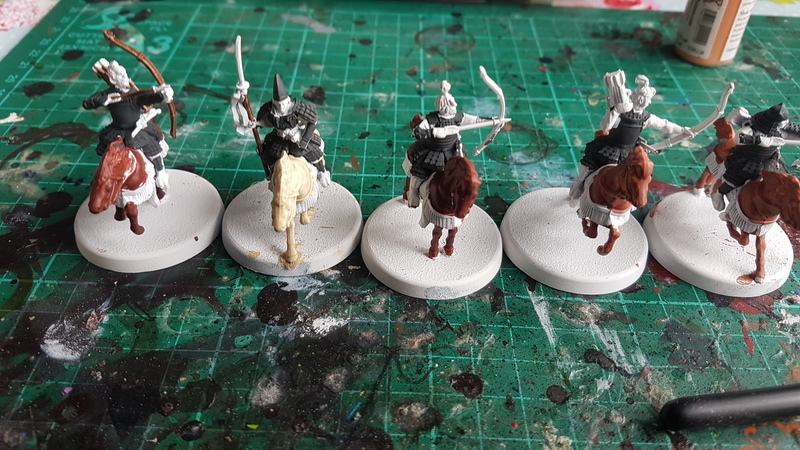 It might work but I am becoming increasingly concerned that they won’t, I have started to get some slack already about doing an all cavalry force, but if I wanted an easy game I would play snap right! So far so good really enjoyed getting to spend an hour or so on them this week inbetween other bits! Hoping to finish the block colours this week and get a wash on them, ready for some details and highlights. So I was really hoping to get the last of my guys painted this week what with the bank holiday to help me out. Sadly I got to that point that we all have and needed a break or else I was going to lose the plot (Well lose the plot a bit more than I have). So I’m nearly done, I have 3 Ashigaru left to do which is a couple of evenings work and then I just need to base them all. When I’m painting forces like this I leave the basing till it’s all done, that way I ensure it all looks the same. Because I don’t want all my troops to look the same each Samurai has been painted different and my Ashigaru have been painted in groups of three so that I get a little bit of variance. To make this easier I painted one from each unit at a time. Should look good once it’s all done. It has been a very unproductive couple of weeks for me on the Test of honor front, my painting table has been inundated with projects that have had to take a priority so unfortunately my samurai have had to take a back seat. 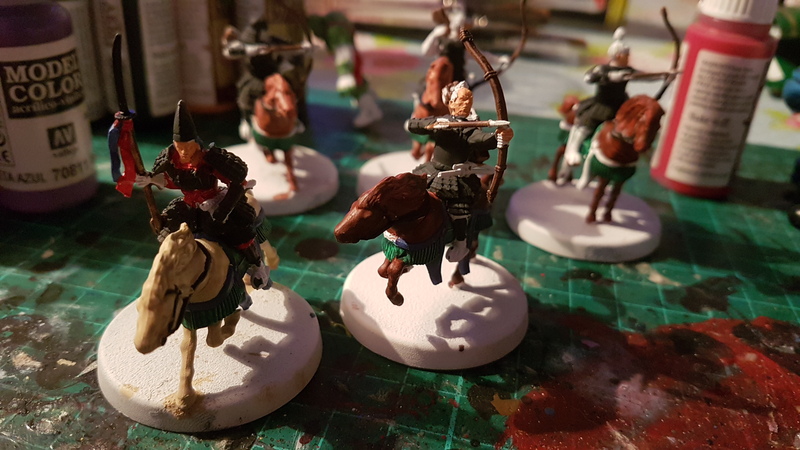 Over the last couple of weeks all I have managed to do is start to paint four of my spearmen and this stretched as far as a basecoat with a wash. I also haven’t even managed to get a game in yet so i’m determined that this is my first priority for the next couple of weeks then try to get at least one group of models finished. Looking at my paint table at the moment it feels like an uphill battle from here.